Kiki Tay's Blog: President of Singapore Graced Kiki Tay's Robot! President of Singapore Graced Kiki Tay's Robot! 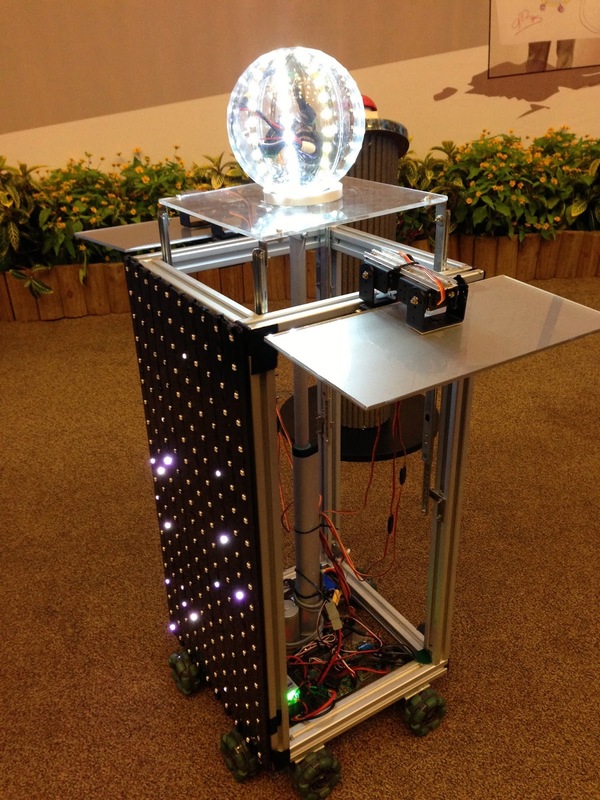 During the launch of the "Sketches of Science" Exhibition, I had the honor of having the President of Singapore grace my robot by activating it to symbolize the official launch of the exhibition. The "Sketches of Science" is a touring exhibition by the Nobel museum. The exhibition is a display of 50 portraits of Nobel Laureates (Nobel prize recipients) shot by German photographer Volker Steger. During the event, I got to meet Sir Richard Timothy Hunt, the 2001 Nobel Prize recipient! 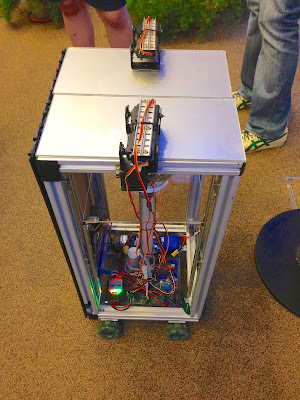 Here are some pictures of my Robot taken before the event! The robot can travel in all direction without having to turn and face the direction. It has a fancy robotic door-opening sequence and a linear actuator with guiding rails that lifts its content up into view. 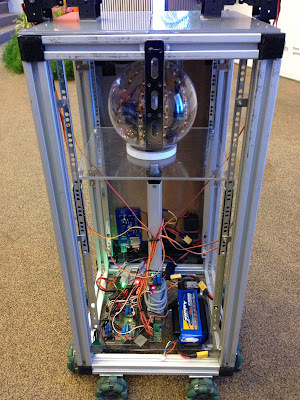 In this instance, I had my LED Ball inside the robot. The LED Ball uses the "LED Magician v2.0", a circuit I designed to easily create running light sequences. 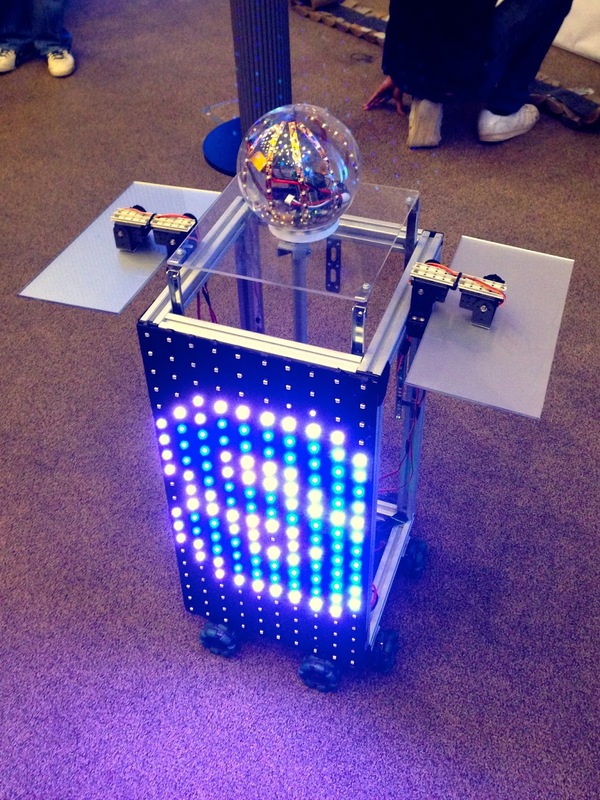 Read about the LED Ball & The LED Magician here! The robot also has an LED screen that I designed and built from scratch. 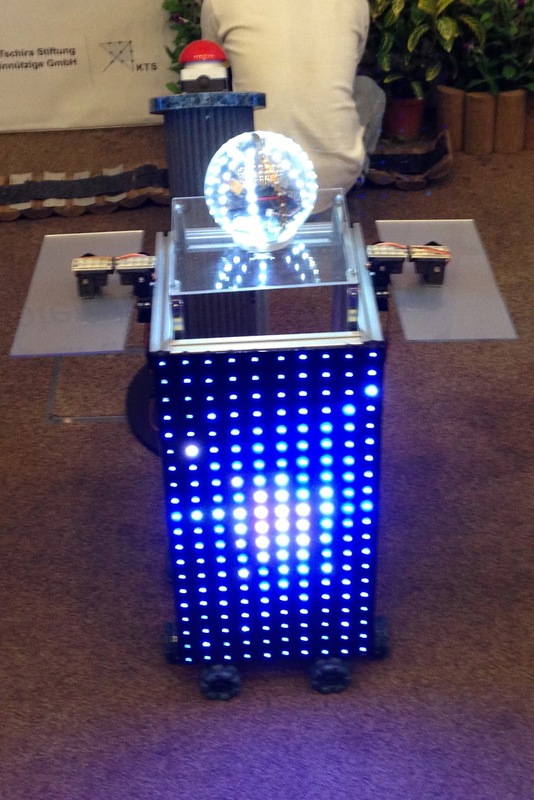 The LED screen consists of 200 individually addressable RGB LEDs with a smart controller chip embedded into each of the LEDs. The screen is capable of displaying video contents. 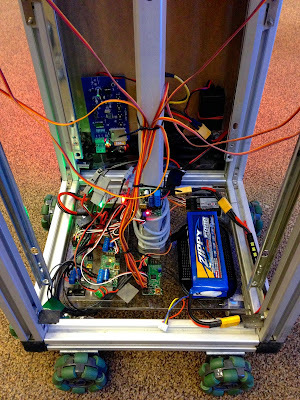 The robot is on 8 omni-directional wheels, the robot can be controlled either via a radio transmitter, or made to move into position via a pre-recorded sequence. The Singapore Science Centre was a place I loved to hang out during my primary school days. I had a "Friends of Science Centre" pass that gave me free admission, and I would spend hours there after school just to indulge in the amazing fantasy world created by all the amazing exhibits. 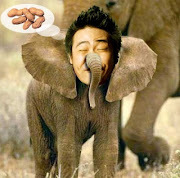 I guess it influenced me a lot in many of the things I do today. To be part of the Singapore Science Centre's project is a dream come true for me! This was a priceless experience made possible by the nice folks at the Singapore Science Centre. It was indeed an honour and thrill to be part of the grand occasion! Here is a video of the launch in action! Thank you everybody at the Singapore Science Centre, for making my life an amazing adventure! Looking forward to future opportunities! 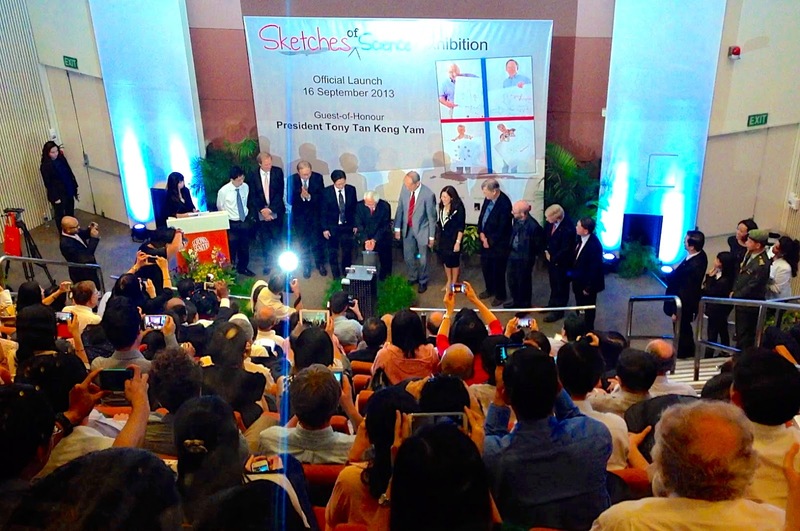 Catch the "Sketches of Science" Exhibition at the Singapore Science Centre before it's over! Find out more from the website here!